← Engineering: Where Are All The Women? The UK has always had a close relationship with the automotive industry, and in recent years a favoured topic of discussion has always been the relative lack of &apos;British&apos; car brands in production. However, it&apos;s definitely not all bad news these days, as the UK car industry is now staging a remarkable recovery that is being typified by record breaking export rates. According to The Guardian, more than 5 million British-manufactured cars have been exported since 2010; a figure which represents the best ever start to a decade. 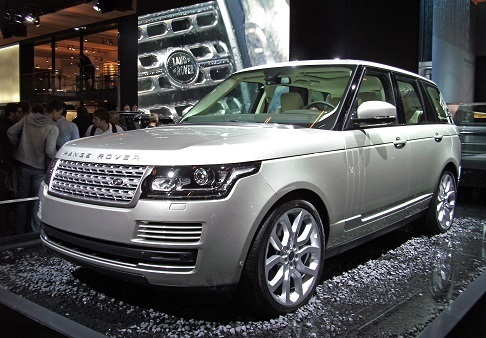 The international demand for luxury brands like Jaguar Land Rover is driving this success story, and now the UK automotive sector – once so sorely maligned – is serving as a &apos;poster child&apos; for UK industry in general; quite a turnaround, to say the least. Obviously, the prevailing mood surrounding the British automotive industry has become considerably more optimistic, but that isn&apos;t the only change that could be affecting this industry in the forthcoming years. Some time ago, we reported how driverless cars were rapidly becoming less of a theoretical concept, and more of a concrete development, and intriguingly we&apos;ve now spotted another article in support of this fact. The BBC News website reports how Google&apos;s brand new driverless prototype has already been widely tested on American roads, and the surprising thing is that driverless cars could be introduced to UK public roads by as soon as next year. This follows a recent announcement in July, and such a move will finally bring the UK up to date with many other parts of the world, who have adopted this technology far more swiftly. The introduction of driverless vehicles will naturally change the way that we look at the automotive industry. A variety of obstacles have needed to be overcome in the development stages – the aforementioned BBC article relates the need to &apos;permit&apos; such vehicles to break the speed limit in special circumstances – so a lot of sophisticated engineering has been needed, and will doubtless continue to be required in the years going forward. At European Springs, products like our gas springs have frequently been included within a variety of automotive applications in the past, and even as the sphere of car manufacture changes in contemporary times, there will always be a need for high quality springs within vehicle design. If you have a need for springs or pressings in the automotive industry, please don&apos;t hesitate to contact us now by calling +44 (0) 208 663 1800 or send us an email at info.bec@europeansprings.com. We&apos;ll always be happy to help.